How did Vegas Become America's Gambling Capital? BlackjackClassroom > Blog > How did Vegas Become America’s Gambling Capital? 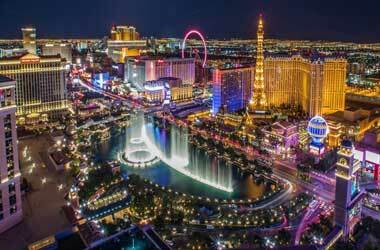 Las Vegas is one of the most iconic and popular cities in the world today and is highly recognizable even by those who have never set foot into Vegas. Known for its swanky casinos, night life, parties, women, booze and all the finer things in life, Las Vegas is a city like no other. The Entertainment Capital of the World, Sin City, the City of Lights, etc. are all nick names that Las Vegas has rightfully acquired over time, but the question we are asking today is one of Vegas’ history – How did it get the status that it enjoys today? How did Vegas become America’s Gambling Capital? To comprehend the evolution of this highly developed city in the middle of nowhere, we need to turn the clocks back to the year 1905 which is when Vegas was officially founded. The mighty Vegas of today had very humble beginnings. The city was born out of requirement for a rest stop for the thousands of railroad workers who were stationed at that site. In fact, 1905 is also the year where the railroads were introduced in this dusty part of the country. With the expansion of the rail road industry, the rest stop began to grew, and it was not many years after, that Vegas had bloomed into a full-fledged society or human civilization and even had its own print media, financial institutions, ice plants, brickyards and as many as thousand five hundred inhabitants. Something else happened during this phase of growth which acted as a catalyst to the development and industrialization of Las Vegas. A land rush was created by Las Vegas Land and Water Company and this was the first amongst several so-called booms to affect the city. Fast forward to the thirties, and more good news was headed Vegas’ way. The rate of development had settled down, but the town still expanded and grew at a steady rate. News that a hydroelectricity producing dam was going to be constructed on the Colorado meant that more finances were poured into this area of the country by investors and this really reignited the growth of Las Vegas like never before. 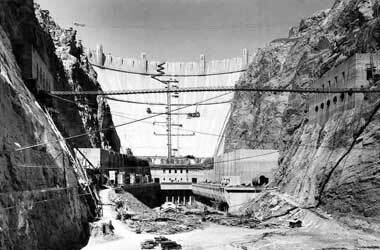 The construction of the Dam, which is known today as the Hoover Dam, roped in thousands of job openings at a time when the economic weather was grim in the rest of the country. With the availability of jobs and money, it was not long before the strength of Las Vegas doubled what it was just a decade ago. Furthermore, investors poured money into private construction projects in the area and the Government invested in public construction projects which in turn led to more jobs, more money, and a new-found vigor for the growth of Las Vegas. However, the gambling association that this city is so closely knitted with now a days was mostly the result of a piece of legislation 1931 which essentially legalized gambling and this started to attract people from all over the country. This was the second phase in the growth of Las Vegas and its affinity for casinos and gambling. By the 1950’s, Las Vegas was already a well-developed resort town which was viewed by most people across the country as a getaway location with nice resorts, clubs and casinos. It soon started gaining attention as the countries go to city for all things gambling, glitz and glamour. The history of Las Vegas is riddled with mobsters and casino gangsters. 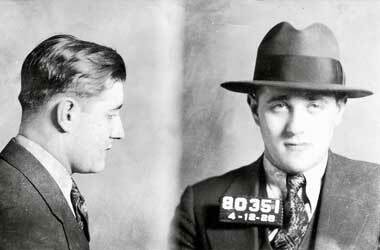 One of the most infamous ones at that was the one and only Bugsy Siegel and despite being a hardened criminal and mobster, many people credit him for almost single handedly boosting the casino industry in Las Vegas which ultimately led to the city becoming what it is today. Furthermore, because of the infiltration of mobsters into many of the big casinos, the government took action and forced casinos to either shut down or clean up their acts and this led to casinos pouring back large chunks of their profits back into growth and development which resulted in more stable jobs, and an improved economic climate throughout the city. As organized crime was fought strategically by the government, it started to become increasingly more difficult for criminal gangs to sustain themselves and most, if not all of the big criminal rings and operations died out at the turn of the seventies. With this, more corporations and big shot industrialists and tycoons started to invest in Las Vegas and brought forward yet another boom in the development and growth of this city. Vegas went from being a shady gambling getaway riddled with mobsters to a family friendly vacation spot with innumerable gaming and entertainment options within just a few years and this continue through the eighties and nineties. Furthermore, it also became a hotspot for bachelor and bachelorette parties. News of the fun and entertainment that Vegas had to offer spread through the country like wildfire in the 80s and 90s and this saw the biggest influx of visitors into the city than ever before. In fact, people from around the world were flying into Las Vegas for its high-stake gambling opportunities and luxurious lifestyle options. As of today, Vegas is a city which remains largely unaffected by the ups and downs of the American economy. It has become somewhat of an evergreen (which is ironic since it is in a desert) playground for grown-ups. Las Vegas also has an edge and some freedoms as a city such as – no state income tax, low property taxes, low unemployment, and great weather almost year-round.Today, Vegas is home to over half a million permanent residents and also home to tons of the biggest and best casinos, hotels and resorts in the world.